Area in which the State of Liberty is possibly located, framed in red. Liberty is a fictional American state in the Grand Theft Auto series that parodies the real world American state of New York. 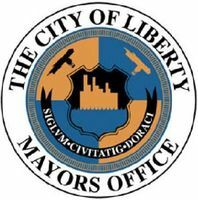 The state is also referred as Liberty State, Liberty City State, and State of Liberty. Like New York State, Liberty State is on the east coast of America and the rest of America exists around it. Liberty City: The state's main city in GTA III, GTA Vice City, GTA San Andreas, GTA Advance and GTA Liberty City Stories. Carcer City: Lips 106 DJ Toni makes reference to "nearby Carcer City" in GTA III. In GTA III, Lazlow and Fernando Martinez are both identified as being residents of upstate Liberty. In GTA Liberty City Stories, the tunnels leading north from Shoreside Vale are marked as being towards upstate. Liberty City: The state's main city in GTA IV, The Lost and Damned, The Ballad of Gay Tony and GTA Chinatown Wars. The Carraways: A little-known location only mentioned in GTA IV Era. On Liberty Rock Radio, Iggy Pop mentions small towns upstate that make maple syrup. In GTA 1 there is a landmass to the west of Liberty City known as New Guernsey. In GTA IV, there is also a landmass west of Liberty City, but it is now known as Alderney. 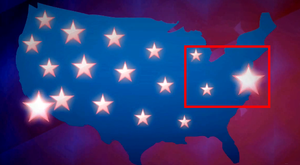 These two places are references to New Jersey, playing the role of neighboring Liberty State. This page was last modified on 6 April 2017, at 19:45.